Itching to find the newest establishments to open around the Glenwood South district? You're in luck: there's everything from a Vietnamese eatery to a pet groomer. Read on to learn about the newest businesses to make their debut in the neighborhood. 222 Glenwood Ave., Suite 103. 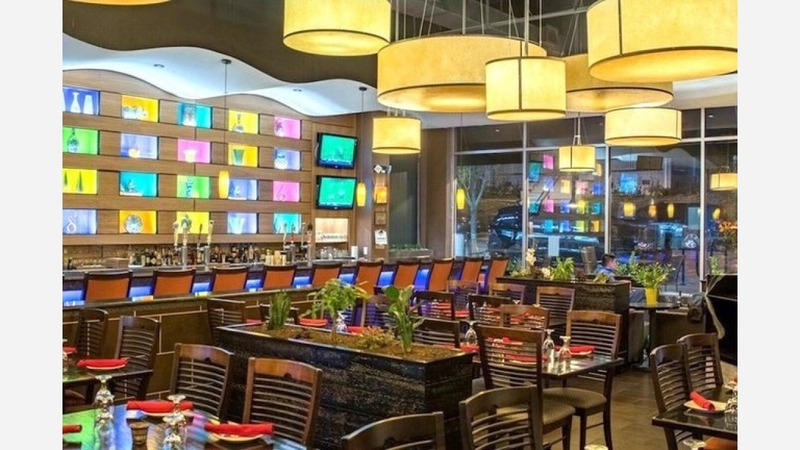 Newly opened Saigon Grill and Bar features a fusion of Vietnamese and Asian cuisines. The restaurant was launched by chef Richard Fong and restaurateur John Tang, who also owns the successful Sushi O Bistro and Sushi Bar downtown. The new space features hanging drum lights and dark woods set an airy dining area, which is accented by colorful back-lit displays behind the bar. Saigon Grill and Bar's current Yelp rating of four stars out of 28 reviews indicates the newcomer has received a warm response so far. 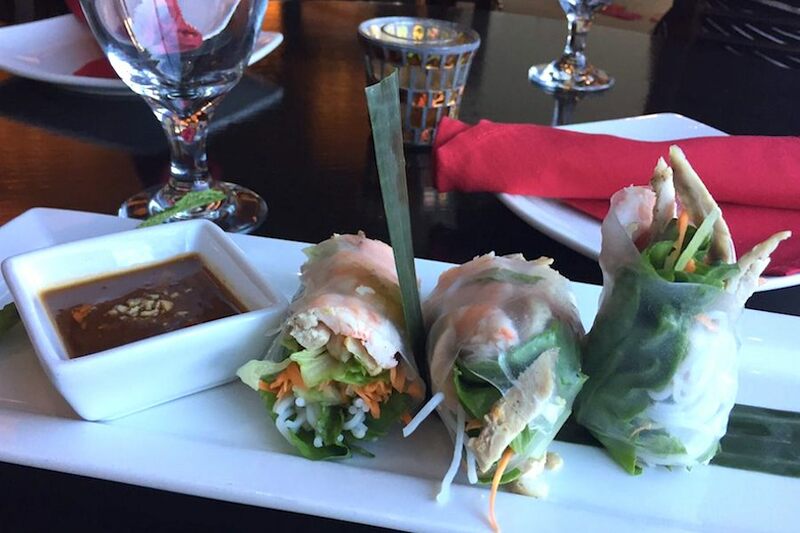 Yelper Anh P., who reviewed Saigon Grill and Bar on December 17th, wrote, "Overall, had an amazing experience here! I'm bringing my mom for lunch and she's a hard critic on Vietnamese food since we are Vietnamese. Hopefully, they make her taste buds very happy." Saigon Grill and Bar is open Tuesday and Wednesday from 5pm-10pm, Tuesday-Friday from 11am-3pm, Thursday and Friday from 5pm-11pm, Saturday from noon-11pm, and Sunday from noon-10pm. 510 Glenwood Ave., Suite 101. 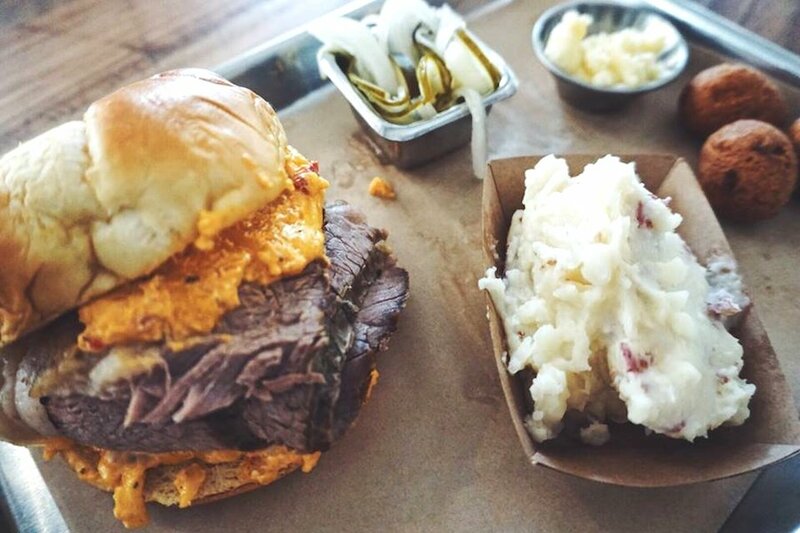 If you're in the mood for barbecue, Southern Charred has you covered. Offering meaty platters, sandwiches and ribs, the restaurant also offers a lengthy drink menu, including house cocktails, beer, wine, prosecco and a House Mule (vodka, fresh lime and ginger beer served in the signature mug with a lime wedge) that it keeps on tap. Don't forget the mac and cheese: Southern Charred's take on the classic comfort dish is made with beer cheese and brie, with the option to top it off with pulled pork, brisket or smoked sausage. Stop by for live music on the weekends, along with college and NFL football games and other special events. Yelp users are still warming up to Southern Charred, which currently holds 3.5 stars out of 43 reviews on the site. Yelper Ken C., who reviewed Southern Charred on March 30th, wrote, "The barbecue was pretty solid, but the sauces were on point (my personal favorite was the mustard-based one). Overall, you can't go wrong here." Southern Charred is open Tuesday from 5-11:15pm, Monday-Wednesday from 11am-2pm, Monday and Wednesday from 5-11pm, Thursday-Saturday from 11-2am, and Sunday from 11am-11pm. 222 Glenwood Ave., Suite 105. 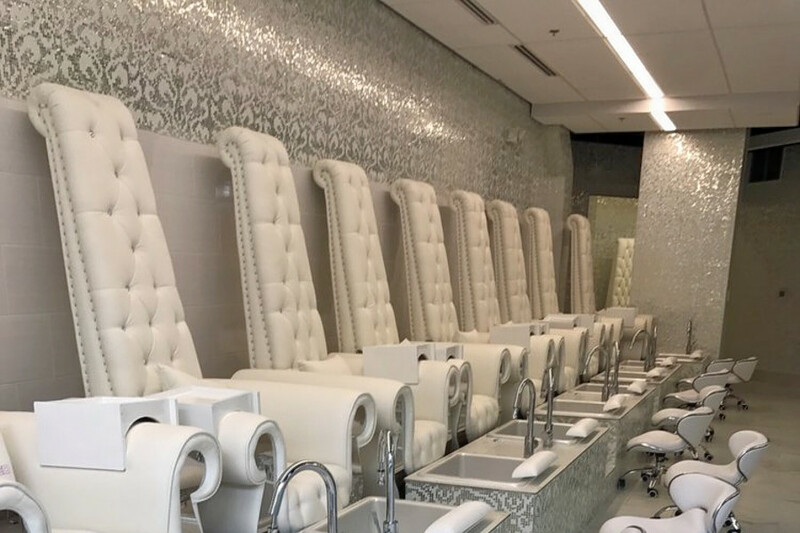 A few blocks down Glenwood Avenue is the Polished Nail Bar, which is the chain's first location outside of the Charlotte area. "We're beyond excited to be in a new city and to offer our particular brand of nail bar experience to an entirely new clientele," explains owner Sonny Kim on the company's website. The salon, with its sleek all-white interior, is known for its manicures and pedicures -- which start at $15 and $25, respectively. Polished Nail Bar also offers waxing, facials, microblading and mink eyelashes. It's available for private parties. Polished Nail Bar is receiving mostly positive feedback, with a 4.5-rating out of 24 reviews on Yelp. Yelper Samantha B., who reviewed Polished Nail Bar on March 2nd, wrote, "Love this place. I'm so impatient when I get my nails done that the atmosphere makes it more enjoyable." Yelper Mia C. added, "Service was fast and friendly, I wasn't pushed to get additional services or a more expensive manicure. Additionally, the space is well set up to handle multiple clients." Polished Nail Bar is open Monday-Saturday from 9:30am-7:30pm, and Sunday from noon-5pm. Have a pooch that needs pampering? City Pet Grooming caters to dogs of all sizes and hair lengths, with a variety of spa options to choose from. City Pet Grooming's current rating of 4.5 stars out of seven reviews on Yelp indicates positive attention from users. 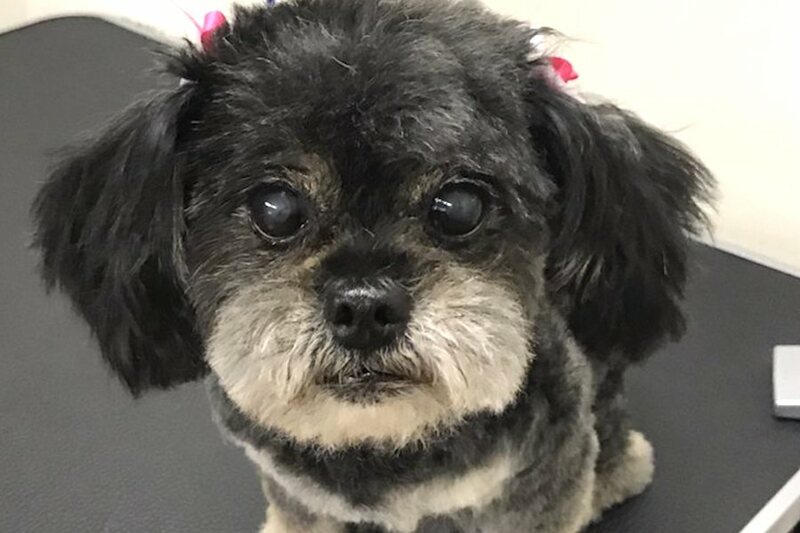 Nicholas S. noted, "This pet salon left my pet clean and smelling fabulous for weeks. My dog is a little difficult but they were able to clean his ears and cut his nails without any problems." 301 Glenwood Ave., Suite 180. 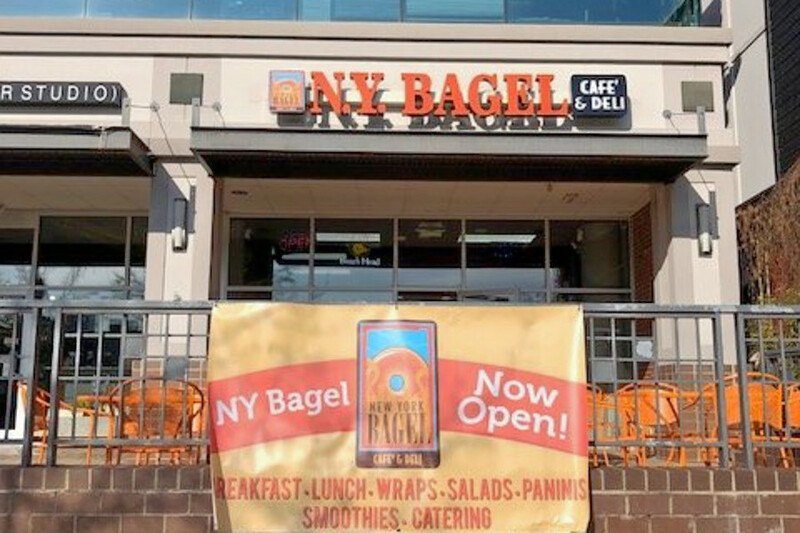 Another newcomer is New York Bagel Cafe & Deli, which has multiple locations throughout the country. The establishment specializes in breakfast fare, lunch and bagels. That being said, on the menu, expect to see an extensive selection of bagel offerings. You can also customize your bagel with toppings like peanut butter and jelly, a variety of cream cheese flavors and lox spread with onion and tomato. New York Bagel Cafe & Deli's current rating of 4.5 stars out of four reviews on Yelp indicates positive attention from users. Yelper Holly K., who reviewed New York Bagel Cafe & Deli on March 15th, wrote, "They have cute orange patio furniture with a decent-size patio for the small size of the shop. These are the closest I have found to bagels that taste like real bagels in Raleigh. Overall I have high hopes for this location and will be returning." New York Bagel Cafe & Deli is open weekdays from 6am-4pm, and weekends from 7am-5pm. 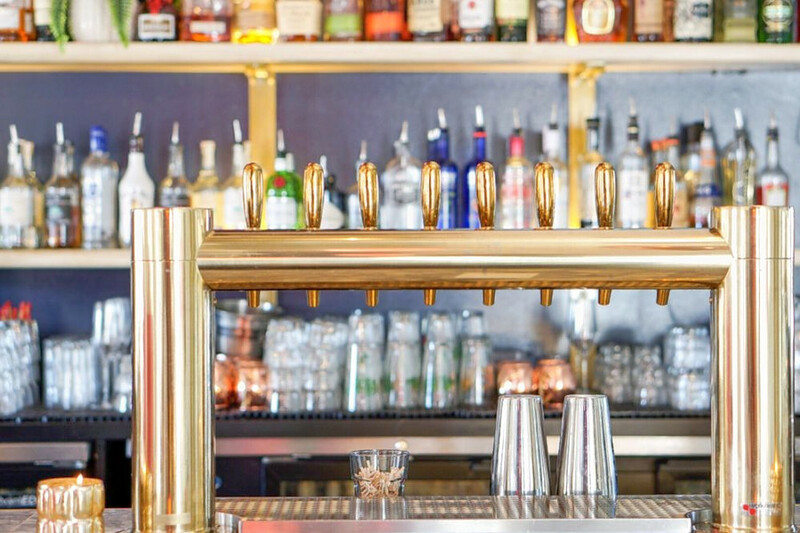 Dogwood Bar & Eatery offers local brews, hand-crafted cocktails, and light bar bites like charcuterie and flatbreads. The new restaurant is readying itself for warmer months, with a wrap-around patio that has heat lamps and both indoor and outdoor bars. There's also a forthcoming expansion into an adjacent space that will give the eatery an even bigger footprint. On the cocktail menu, consider the "Social Mule" (vodka, ginger beer and lime), the "Blind Basil Smash" with jalapeno-infused vodka, or the rum punch. Yelp users are excited about Dogwood Bar & Eatery, which currently holds five stars out of six reviews on the site. Yelper Brittany G., who reviewed Dogwood Bar & Eatery on February 23rd, wrote, "Miami vibes without the Miami attitude! Dogwood is both perfectly Instagramable but also has a down-to-earth character in the service, food and prices. " Yelper Linda N. wrote, "The hospitality of Dogwood Bar & Eatery totally blew me away! They helped me host an event in their space and definitely over-delivered! I cannot wait for them to officially launch their brunch menu."